Essential oils are fragrant, yet potent oils used for their relaxing and stress relieving purposes. These oils are made from the most aromatic plants and the word "essential" makes reference to the oil's natural fragrance. Because of their potent nature, essential oils are mixed or combined with carrier oils such as coconut oil or grapeseed oil. To ensure the purity and to save on cost, most people choose to make their own essential oils using fruits and fresh herbs at home. If you have ever wondered how to make essential oils, the simple instructions below will guide you. However, while the above mentioned methods are perfect for oil extraction, some of these methods are not ideal for anyone making essential oils at home. Therefore, we provide a list of the top six methods used for making essential oils at your home. How to make essential oils? One of the most common ways is to use distilled water. Here are two methods you can try at home. You will need the plant of choice and a crockpot. Fill the crockpot with distilled water and add the plant. Allow it to cook for 1 whole day (24 hours) and then remove the lid from the pot and let the ingredients sit open in the pot for a week. At the end of the week, separate the oil from the water's surface and place in a dark glass container and cover with a cloth for another week. By doing this, any excess water will be evaporated. The oil will last for up to 12 months. First, add plant materials to a linen or cotton bag and secure it with a tie. Add this to distilled water in a pot and bring it to a boil, then let simmer for 24 hours. Extract the oil from the water; you may need to squeeze the bag to release some oils. Then store this in a dark glass container and cover the top with a cloth and let it stand for a week, allowing any excess water to evaporate. This method preserves the oils for 1 year. If these methods don’t work well, you can learn from the video below which is more complicated. Oils are also commonly used to answer "how to make essential oils at home". Below are the steps you can follow. 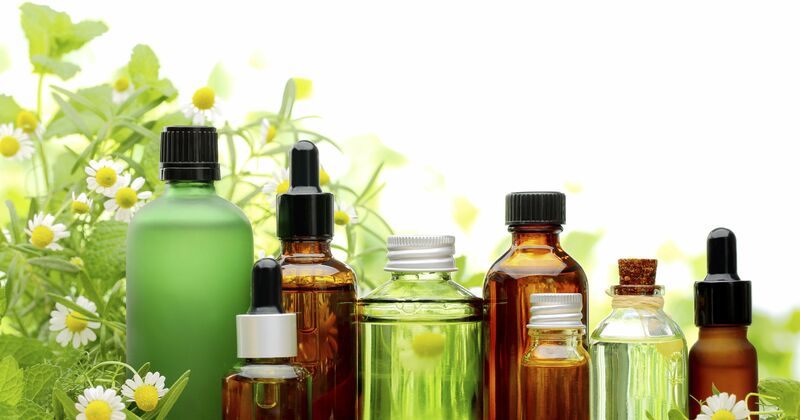 Add jojoba oil, olive oil or any carrier oil of choice in a large glass bottle for about half bottle. Then add as much plant compound as the bottle will allow. Close the bottle and let it stand in a dark, cool place for 24 hours. Shake well and then let it stand for three more days. With the use of a cheese cloth, strain the oil and store the liquid in a dark glass container. If the fragrance is not powerful enough, repeat the process, adding more plant compound until the desired strength is acquired. This method will preserve the oil for up to 6 months. Use an ounce of plant compound and 2 cups of almond oil or other carrier oils. Add both ingredients to a crockpot and cook the mixture for 6 hours. Strain contents with an unbleached cheese cloth and store in a dark glass container for six months. Mix together ½ teaspoon white vinegar, ½ cup olive oil and 1 tablespoon ground plant in a small bottle. Let it stand near a sunny window or other warm place for three weeks, shaking the mixture twice per day. Store liquid in a dark glass container once it is strained using an unbleached cheese cloth. Keep for 6 months, and then discard remaining contents. This method is different and requires the use of an ingredient most people have lying around the house. To extract oils using alcohol, you need undenatured ethyl alcohol or vodka if you do not have this type. However, whatever you do, do not use rubbing alcohol. Add the desired plant compound to the alcohol and place it in the freezer. Because alcohol doesn't freeze, the oil will congeal on the surface, which makes it easy to remove and separate from the alcohol. If you like the smell of delicate flowers such as jasmine, this is the perfect method for such flowers because it won't burn the petals. Oils made using this method can be diluted with water or used as a base for perfumes. Essential oils are potent and should never be ingested. They should be diluted when you are applying it to the skin and always be careful because some essential oils are toxic. Follow the instructions carefully when making these oils and do not distill for too long because you may contaminate the end product. Do not dry most flowers, instead, extract oils immediately after harvest. If needing drying plants, ensuring that dirt, dust and other contaminants do not get on the plant because the contamination will reduce the quality of the end product. Research and choose organic plants carefully because they may be contaminated with pesticides and fertilizers.